Drive carefully…They have short tempers when run over. Probably in Colorado? 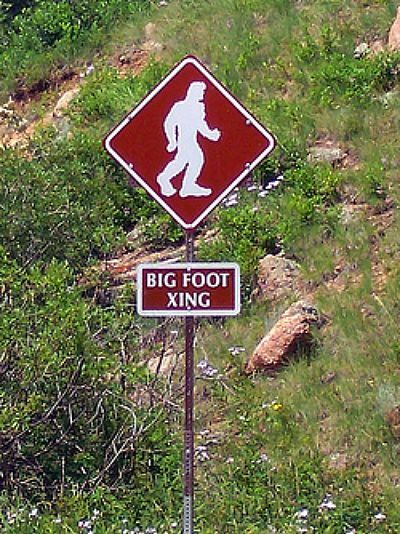 They have other Bigfoot Crossing signs. 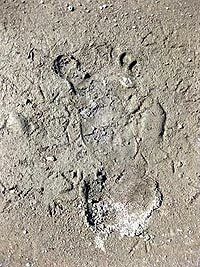 September 18, 2008 Posted by oldstersview | animals, Odd signs	| Bigfoot, Sasquatch | Comments Off on Drive carefully…They have short tempers when run over. A trip to pick blueberries last week bagged something much larger for a Grassy Narrows [Canada] woman and her mother. On July 22, Helen Pahpasay and her mother left the Ontario First Nation, located about 80 km northeast of Kenora, to go berry picking. While driving in their truck to a spot about 25 km north of Grassy Narrows, Pahpasay said she spotted a tall, black creature roughly 15 metres ahead. “It looked about eight feet tall and it was upright,” she said. Pahpasay said she thought her eyes were playing tricks on her until her mother confirmed she was seeing the same thing in front of them.